Who Is Isaiah 22 Talking About? Who is Isaiah 22 talking about? Lets go over it in general terms. Verse 1: The harsh prophecy of the Valley of Vision: What ails you then that all of you have gone up to the rooftops? What does this mean? Rashi tells us: the Valley of Vision: This is Jerusalem, the valley concerning which most prophecies were prophesied. Verse 2: Full of clamor, a tumultuous city, a happy city, your fallen have not fallen by the sword, nor have they died in war. Rashi: your fallen have not fallen by the sword: It would have been better had they fallen by the sword than now that they have perished by hunger. Verse 5 For it is a day of breaking and trampling and confusion to the Lord God of Hosts in the Valley of Vision, destroying the wall and shouting, "To the mountain!" See this? The context is about the coming, at that time, destruction of Jerusalem. Keep that in mind as we continue. Who is the Prophet speaking of? Verse 9: And the cracks of the city of David you saw that they had increased, and you gathered the water of the lower pool. The city was falling and yet these people refused to repent of their haughtiness. Verse 10 And the houses of Jerusalem you counted, and you demolished the houses to fortify the wall. They would fight in their own power without seeking the help of HaShem. They destroyed their own homes for the wood to fortify their walls. 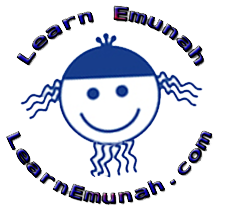 They were in a desperate state but still they lacked emunah! Rashi: but you did not look to its Maker: Now, if you ask, Hezekiah, too, did so, as it is stated (in II Chron. 32:5) “And he strengthened himself, and he built up all the broken down wall, and he went up on the towers and outside the other wall, and he strengthened the Millo of the city of David,” the answer is that Hezekiah “trusted in the Lord God of Israel, etc.” (II Kings 18:5), but you, in the days of Jehoiakim and Zedekiah did not look to its Maker. Verse 13: And behold, joy and happiness, slaying cattle and slaughtering sheep, eating meat and drinking wine; "Let us eat and drink, for tomorrow we will die." Because of their lack of emunah and connection with HaShem they became hopeless and gave up. Still they failed to seek HaShem! Verse 14: "And it was revealed in My ears, the Lord of Hosts; [I, therefore, swear] that this iniquity shall not be atoned for you until you die, said the Lord God of Hosts. Now HaShem announced that He would not spare them because they refused to seek Him. Verse 16: What have you here, and whom have you here, that you have hewn for yourself here a grave? He hews his grave on high; he hews a habitation for himself in the rock. They boasted of this wondrous city and Temple as if they had built it! No! HaShem build it! The work of their hands only built their graveyard! Verse 20: And it shall come to pass on that day, that I will call My servant, Eliakim son of Hilkiah. Who is this talking about? The text is clear. Rashi: to Eliakim: He was appointed over the house when Sennacherib took him, (i.e., Shebna,) as we find, when they went out to Rabshakeh, and he revealed to him Shebna and his company, and they dragged him with their horses’ tails, as is related in San. (26b). When Sennacherib went to Tirhakah, king of Cush, he swept away Shebna and his company and went away. We learned this in Seder Olam (ch. 23). Now we are coming up to the sometimes twisted verse. See why context matters? The clear reference in context is to Eliakim, and no one else. Verse 21: And I will dress him [ie Eliakim] [with] your tunic, and [with] your girdle I will gird him, and your authority will I place into his hand, and he shall become a father to the inhabitants of Jerusalem and to the house of Judah. Verse 22: And I will give the key of the House of David on his shoulder, and he [ie Eliakim] shall open and no one shall close; and he [Eliakim] shall close and no one shall open. Rashi: the key of the House of David: Jonathan paraphrases: The key of the Temple and the government of the House of David. Verse 23: And I will thrust him [Eliakim] like a peg in a sure place, and it shall become a throne of glory for his father's house. We know from history that Eliakim, son of Hilkiah, succeeded Shebna to become finance minister for King Hezekiah as Isaiah predicted here. Of this Rashi adds: And I will thrust him like a peg in a sure place: (Jonathan renders:) And I will appoint him a faithful trustee, serving in a sure place. Jonathan renders נֶאֱמָן as sure, i.e., a place that is faithful to those who lean on it, for it shall not move. Another explanation is to reverse the word order of the verse: And I will thrust him a sure peg in a place. Rashi: the children and the grandchildren: (צֶאֱצָאִים וּצְפִיעוֹת). Jonathan renders: the children and the children’s children. Menachem (Machbereth p. 151) associates it with, (Ezekiel 4:15) “Cattle dung (צְפִיעֵי).” This teaches us that it is an expression of tiny infants that issue forth from their mother’s womb. making צְפִיעוֹת an expression of coming out, i.e., a thing that comes out. Verse 25: On that day, says the Lord of Hosts, shall the peg, thrust in a permanent place, move, and it shall be cut off and fall, and the burden which is upon it shall be cut off, for the Lord has spoken. Rashi: shall the peg… move: (This alludes to) the greatness of Shebna. and the burden which is upon it shall be cut off: His family members and his company who depend on him and who hang upon him the vessels of their glory. And since he likened him to a peg, he likened those who boast about him and rely on him, to a burden loaded on the peg. Some interpret it: And the prophecy prophesied about him shall be fulfilled. This prophecy was fulfilled long long ago.